Thankfully, there's no sign of those tolls being introduced anytime soon. Anyone who's been on the M50 during rush-hour will know how bad traffic can get on the busiest road in the country. 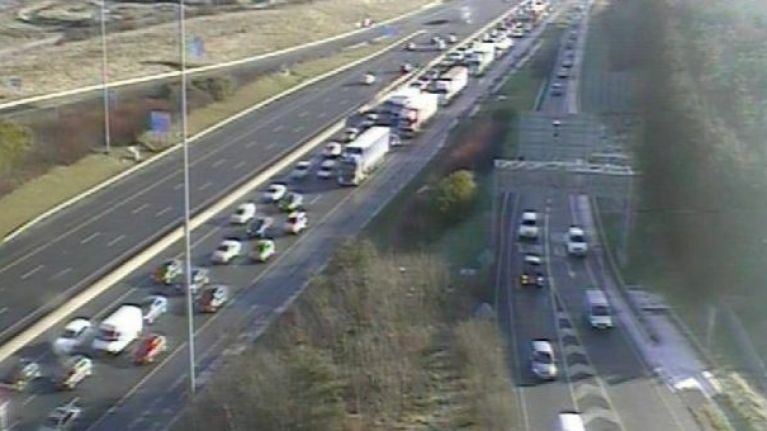 The National Roads Authority (NRA) are well aware of the extent of congestion on the M50 and have warned that it will take several years to implement effective measures in an effort to make it less chaotic for all concerned. According to a report in today's Irish Independent, one of the suggested measures by the NRA is to introduce a number of tolls along the road rather than have a single tolling point. How that might go about easing traffic is not made clear, but the report suggests that such a move has been ruled out by the Department of Transport. Elsewhere, NRA Chief Executive Fred Barry has stated that the Galway bypass and the M20 Cork-Limerick road remain a "high priority" for the agency, despite the Government shelving the latter project on cost grounds.